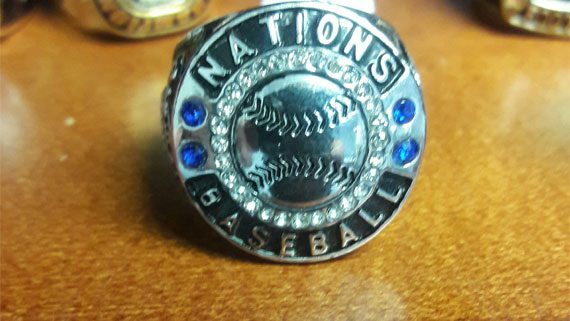 We are America’s top designer and manufacturer of custom youth softball and football championship rings. Customized youth rings for all budgets. Since 1955, we have been bringing coaches and athletes high quality custom youth championship rings made with Italian craftsmanship. 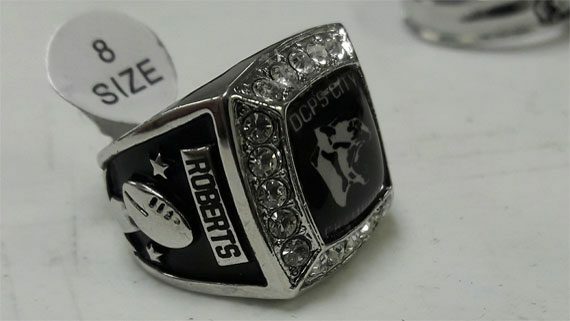 Simply put, we provide the most affordable, high quality customized youth championship rings made in the USA. Digital Jewelry quality products are designed with 21st century digital technology, founded on late 19th century Italian craftsmanship. The company’s founders have over 100 years of expertise and are the sons and daughters of an Italian craftsman/artisan who came to America through Ellis Island, NY in the 1940’s with a vision of fulfilling “The American Dream. Seventy years later that vision still exists — but now with a global presence. Why Our Custom Youth Softball and Football Championship Rings? We are the Choice of Champions!! We are backed with master teams with decades of hands-on experience and great Italian craftsman skills. We use only the finest quality metals and jewels. More specifically, we use AAA rated cubic zircons that look and sparkle just like original diamonds. Additionally, we use 925 sterling silver, copper coated with 10k/14k gold or rhodium. Finally, we use original diamonds and pure gold as when requested. We want to take a moment to recognize our youth and scholar athletes for the commitment to sport which has been shown to teach teamwork, discipline and build self esteem. We have youth softball championship rings and youth football championship rings specially crafted for high school teams and young athletes in the USA. Custom championship rings give you a sense of pride and allow you to relive those delightful experiences and fond memories. We provide complete custom rings that bring your design dreams to reality. If you can imagine it, we can do it. We have the best collection of custom youth championship rings in the USA market. You can choose from our templates or customize partially or fully depending on your needs. Our design experts are here to help you customize your championship rings and remain within your budget (Design, Material, Finishing etc). We always recommend the best stones to enhance your championship experience; Ruby, Sapphire and Diamond, etc. We understand that the ring represents and special moment and your product quality should not be compromised. Our expert, innovative pours their skills and their hearts into making you a flawless product that you cherish forever. Providing custom rings to our athletes is a real opportunity for us to work together as a team with you and create something unique and special. 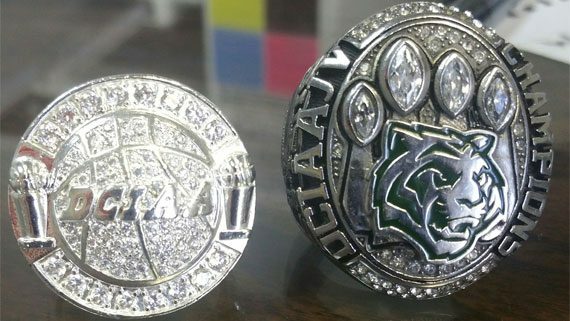 How We Design & Make Youth Championship Rings? We start with the basic shape, design and best color combinations that make for an eye-catching product. For more information on design Watch Video. Get a free quote for your custom youth softball and football championship rings. Call us direct at 877-269-5646 for rush orders.